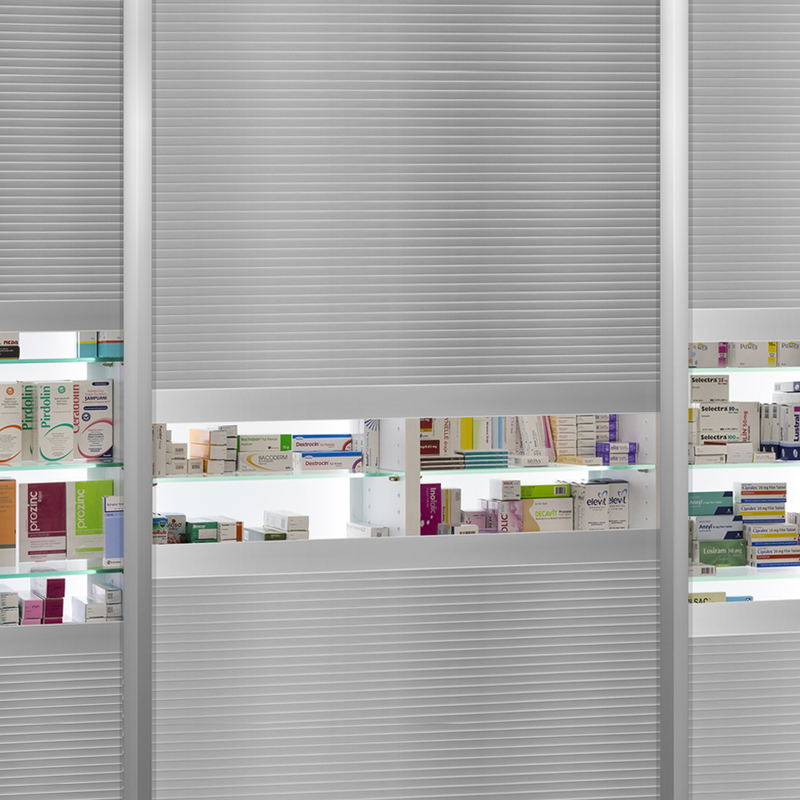 COCCINELLA is the latest addition to our wide range of tambour door systems made of 100% Aluminium . It is a motorized rolling shutter with synchronized sliding of an upper and lower part , suitable for large cabinets . SIlent and smooth , the movement is controlled by remote or wall switch . 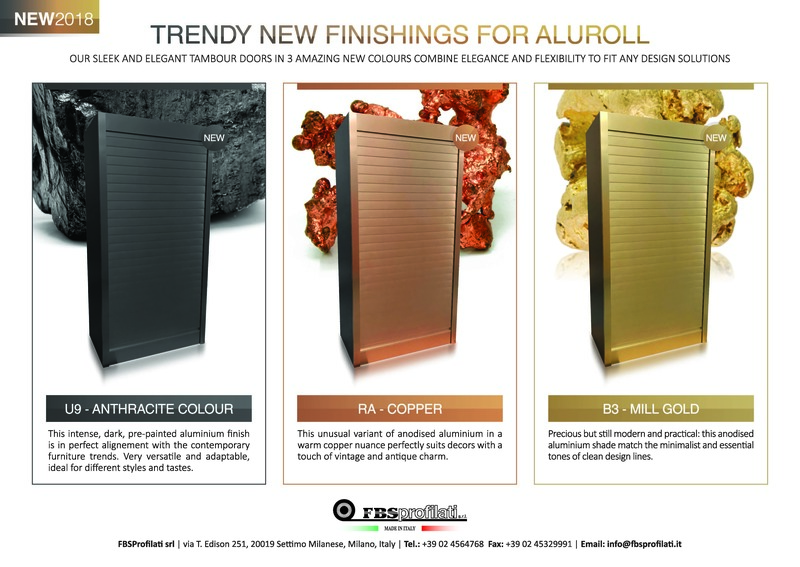 It is available in a variety of exciting colours , including the trendy copper , anthracite and mill gold.